This is a great afternoon snack, or you can serve it with lightly toasted walnuts as a dessert. 6 slices haloumi, sliced to 5 mm thickness. 1 small green apple, cored and cut into 5 mm wedges. 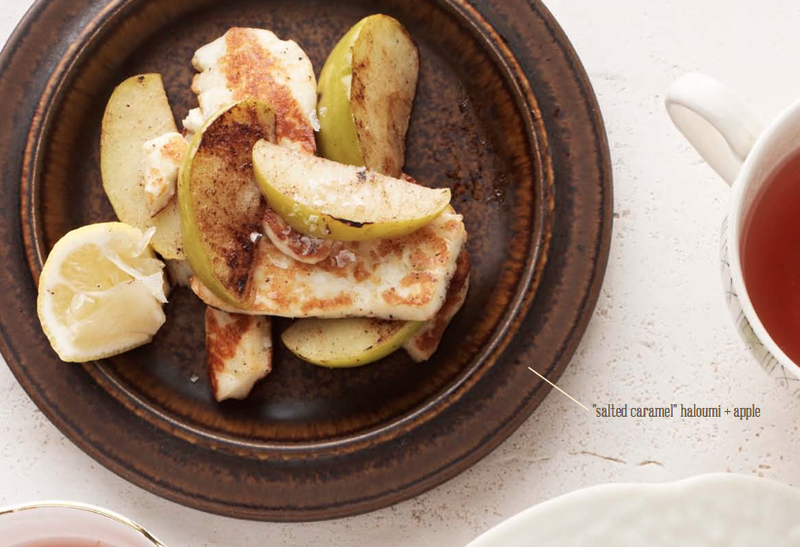 Place the haloumi and apple slices in a hot non-stick frying pan. Jiggle the pan a little so the fat from the haloumi coats the apple. Cook on both sides until both the apple and haloumi are a lovely caramel colour. Toss salt and cinnamon (if using) over the lot and serve.